The IFR 2975 radio test set. VICOM has announced expanded functionality for the 2975 radio test set for Project 25 (P25) testing from IFR (an Aeroflex company), a leading designer of advanced test solutions that include wireless radio test sets, signal sources, avionics and frequency agile test, microwave test, signal analysers and ATE (Automated Test Equipment). The new P25 test options and latest firmware release represent another major release of feature enhancements for the 2975. These new options offer even more industry-exclusive radio testing features for P25, SmartNet(tm)/SmartZone(tm) and analogue radios. Firmware upgrades can be loaded directly into the 2975 via the Internet and the options can be enabled in the field. * Advanced encryption system (AES). * Linear simulcast modulation P25 Phase II CQPSK. The 2975 is a digital radio test platform that tests radio equipment to ensure compliance under the Project 25 standards, including parametric testing for compatible four-level frequency modulation (C4FM) and interoperability testing of P25 systems. Providing independent "generate and receive" functions from 1MHz to 2.7GHz, the 2975 allows duplex operation over a full instrument range. This enables a wide variety of system configurations to be tested including cross-band repeaters. 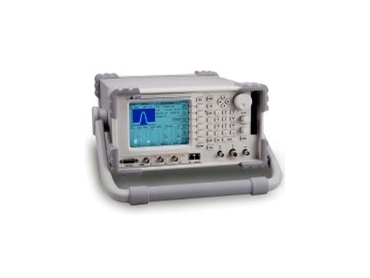 Additionally it has two audio-function generators to support conventional FM terminal testing. Created with a modular design, the 2975 is simple to support and upgrade. Its 20GB internal hard drive and 3.5-inch floppy drive simplify program installation and maximise flexibility in storage and recall of set-up information and test data. Software upgrades can be downloaded, allowing features to be added as new radio-specific tests are developed, reducing ownership and life-cycle costs.